Remote predictive mapping was used to derive a predictive surficial geology map for Upper Carp Lake NTS 85-P. 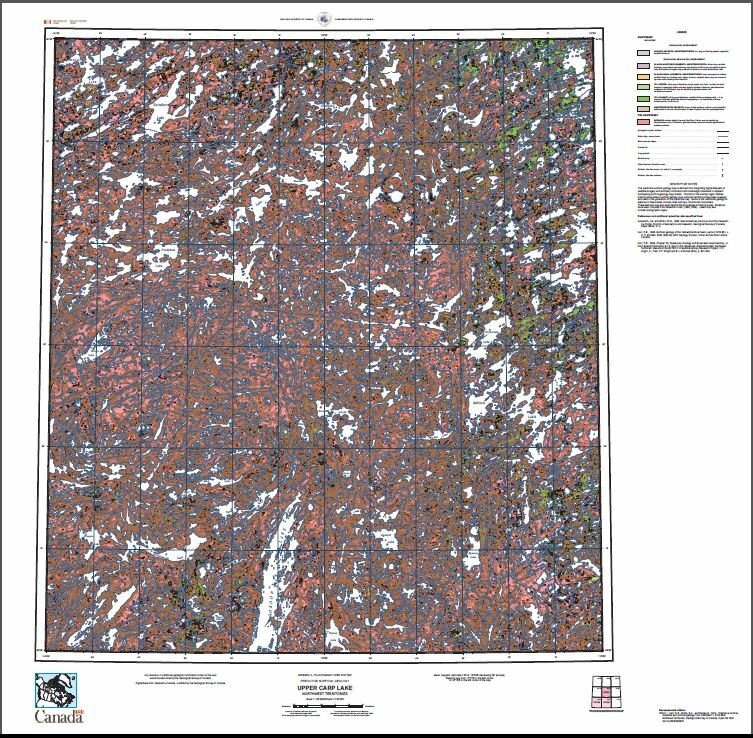 The predictive map was generated using satellite imagery, airphoto interpretations, fire history, elevation models, field observations and legacy datasets. This Open File contains graphical and digital geo-referenced versions of the predictive maps. A printable version of the predictive surficial geology map is provided in pdf format (map scale 1:125 000).